Dr. Rene specializes in biological dentistry because he cares about you and your family’s health. He uses this approach and philosophy with every person and throughout all services that are offered. Handling pain through the use of more natural products, less harmful procedures and the importance of good quality care is stressed. 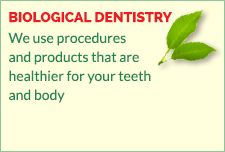 Dr. Rene is a caring dentist who combines all aspects of regular dentistry with methods that are more friendly to your body in order to create a healthy and safe dental experience. In our practice we use as little chemical products as possible and try to keep the amount of pharmaceutical products used to a minimum. If you have a problem we try to help you as quickly as possible and by this, prevent a lot of pain and unnecessary medication. These more body-friendly methods can help dental procedures to go more smoothly and help with a speedier recovery than normal. With all of things that you worry about in this time, one of them should not be your dental work being harmful to you and your body. That is why all of the experienced staff are interested in helping you remove your amalgam fillings safely and swiftly. All of the dentists have a very strong interest in removing your amalgam fillings when needed and replacing them with more natural-looking composite or porcelain fillings. They follow safe removal procedures, therefore, preventing further complications. 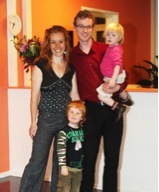 Treating your whole family is something we really like here in our practice. Everyone at Tandarts Praktijk René truly want to help families with what they need. It is important to introduce children to their dentist at an early age so they have time to adjust to the environment at the dentist and feel at home at the dentist. 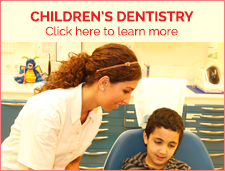 We believe that prevention of dental problems should be started at a young age. When you love your teeth, you smile more! The whole team of dental professionals here at Tandarts Praktijk René can provide you with a full range of cosmetic services to give you that beautiful smile that you desire! If you would like a consultation to discover what can be done to enhance your smile, call in to schedule an appointment. You will be treated with advanced, high-tech equipment for your convenience and comfort. We have advanced dental equipment, such as a digital x-ray machine, Zoom teeth whitening equipment and dental soft lasers that promote faster healing. Additionally, our hygiene practices and routines are very standard. We have top of the line sterilization machines for proper equipment sterilization. We work according to the Health Department standards. Crowns and bridges are a type of dental restoration, made with porcelain or metal or a combination of both. We only use porcelain or gold as other cheaper metals can have a bad effect on your health. A crown can be a very good solution for a tooth that has weakened. Crowns are extremely durable, aesthetic and look natural. Bridges are also a very important part of dental restoration. They help keep the structure of your mouth and help you maintain an aesthetic appearance. When it comes to your overall dental health, prevention is better than a cure. Maintaining your regular dental hygiene is imperative to having healthy teeth throughout your life! We have the know-how and experience to help you achieve this goal. 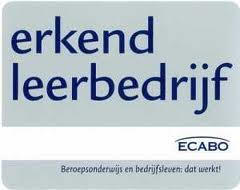 At Tandarts Praktijk Rene, we firmly believe in taking excellent care of your teeth. We do this by regular professional cleaning and check-ups. 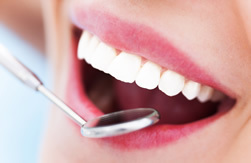 We are convinced that regular cleaning and check-ups can also help to prevent gum disease. Gum disease can lead to other health problems. Happily, this can be easily avoided by keeping your routine check-up appointments. There are some situations that might require dental attention sooner than your regular check-up. If you run into this kind of situation, please don’t be afraid to call us immediately, don’t wait until the following day. We will do our best to help you as soon as possible.